Coordinate the day to day running and operation of Stu Brew. Organize and manage bar events, from drafting shift timetables to the set up and shut down of a mobile bar selling cask, keg and bottled ales. Train new members in essential bar tasks, including using keg dispensing equipment, tapping and connecting casks and cleaning lines. Ensure the smooth operation of Stu Brew by supporting all members of committee in completing tasks. Participate in brew days, undertaking essential brewing tasks. 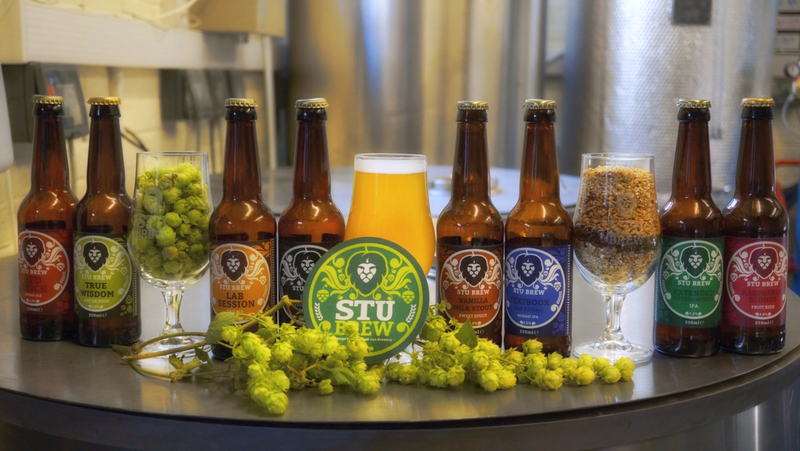 The fact that the Stu Brew committee and society consist of a variety of people with different interests and ideas on the project, it's great to work together to continue driving the success of the a relatively young business that is Stu Brew. Why did you get involved with Stu Brew? Being a member of Stu Brew in my second and third year, I was able to understand how varied and vast the opportunities were that Stu Brew held. It was for this reason that I wanted to get more involved and hands on in it's operations by becoming a member of the committee. Extended Overdraught (the first beer I helped to brew).